يقع في Potts Point, Hotel Challis إنه المكان الأنسب لاكتشاف سيدني و ما يحيطها. يسهل الوصول إلى هذا الفندق ذو 4 نجوم من المطار، فهو يبعد عنه مسافة فقط. يضفي محيط الفندق اللطيف وقربه من The Potts Point Galleries, ‪El Alamein Memorial Fountain‬, البت الاصفر سحراً خاصاً على هذا الفندق. كما يقدم Hotel Challis الكثير من الخدمات لإغناء رحلتك في سيدني. يمكن لضيوف الفندق الاستمتاع بالميزات التالية على أرض الفندق: واي فاي مجاني في جميع الغرف, خدمة التنظيف يوميًا, مجهز لذوي الإحتياجات الخاصة, مكتب الاستقبال على مدار الساعة, مرافق مخصصة لذوي الاحتياجات الخاصة . تنعكس أجواء Hotel Challis في غرف الضيوف.شاي مجاني, مناشف, قهوة فورية مجانية, تلفزيون بشاشة مسطحة, بياضات هي بعض الميزات الموجود في العديد من الغرف. يمكنك الاستمتاع بالأجواء المريحة التي تقدمها مركز للياقة البدنية, حديقة طوال النهار. مهما كانت دواعي سفرك فإن Hotel Challis هو خيار ممتاز لإقامتك في سيدني. Probably the smallest room we've had anywhere in the world, including Paris and NYC, but it was neat and the staff were polite and friendly. Excellent location. Close enough to the city, but a lovely little historical residential area with plenty of restaurant options is right on your doorstep. 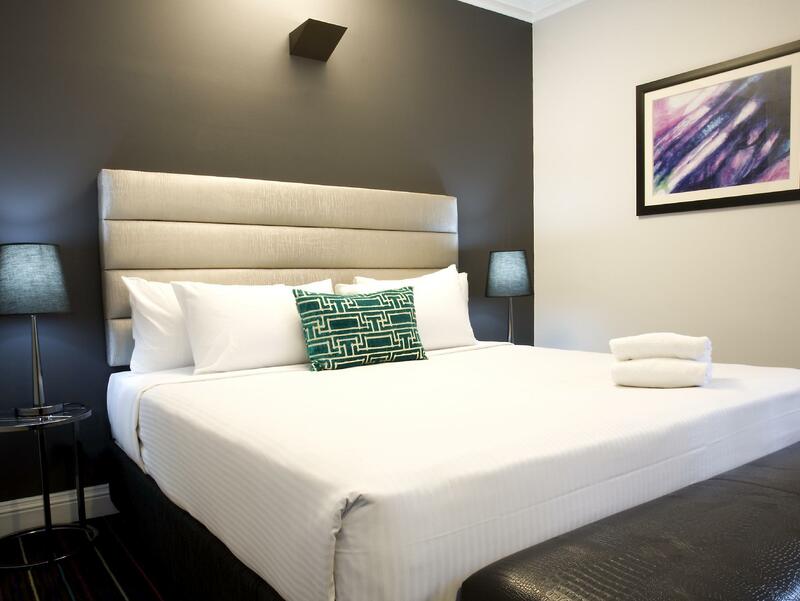 Stay here, but book the larger room option as the smallest room is a little cramped for two people. Large enough for a single traveller, though. We found the location excellent. Good facilities nearby eg supermarket and restaurants. 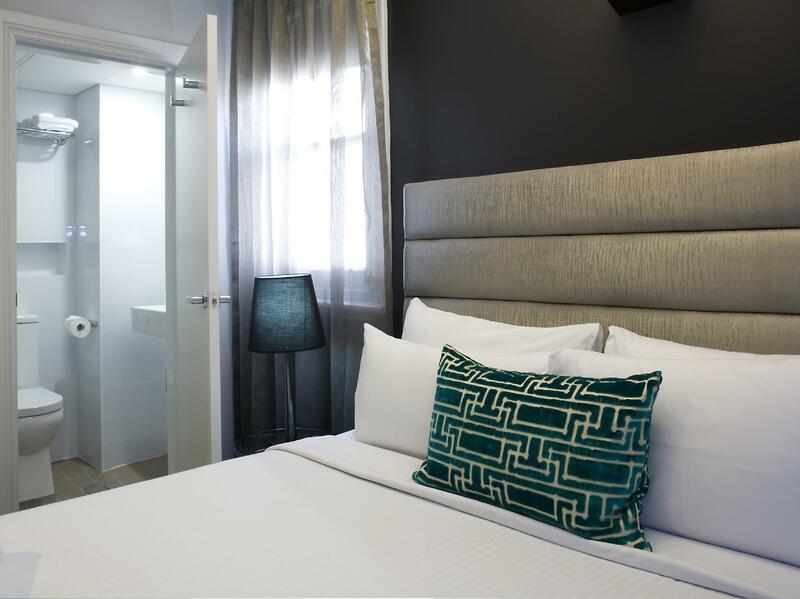 Easy walking distance to Kings Cross station. The hotel staff very helpful especially Rudi who went out of his way to assist. Although the room was on the small side the bed was so very comfortable and made up with good linen. We would definitely stay there again and recommend Hotel Challis. We have a chance to stay for 7 nights at Hotel Challis. The facilities are great. The location is excellent which is quiet and close to the train station and bus stop. The staffs are nice. The room is clean and quite tidy. loved the location of this hotel. it's a great, clean place close to a lot of eateries and the water. the rooms are really small and the walls a bit thin, but otherwise, it's convenient and clean, and it has free WiFi. couldn't really complain given the cost of other hotels in Sydney. We stayed 4 nights and we were very comfortable. The hotel is located in 2 old townhouses that are really beautiful. The room was small and the bathroom even smaller but everything was beautifully presented. The room functioned really well and was spotless when we returned after a long day sightseeing. The staff were efficient though not overly friendly. It took the tourist booth to show us how well placed the hotel was! Roughly 10 minutes from the tube although the red light area is nearby the hotel is not near enough for it to be a problem and we liked the cafes and bars being nearby. Tip- Campo's coffee and food is excellent. If you turn left out the hotel and take the stairs you are surprisingly along the bay. We would love to return. 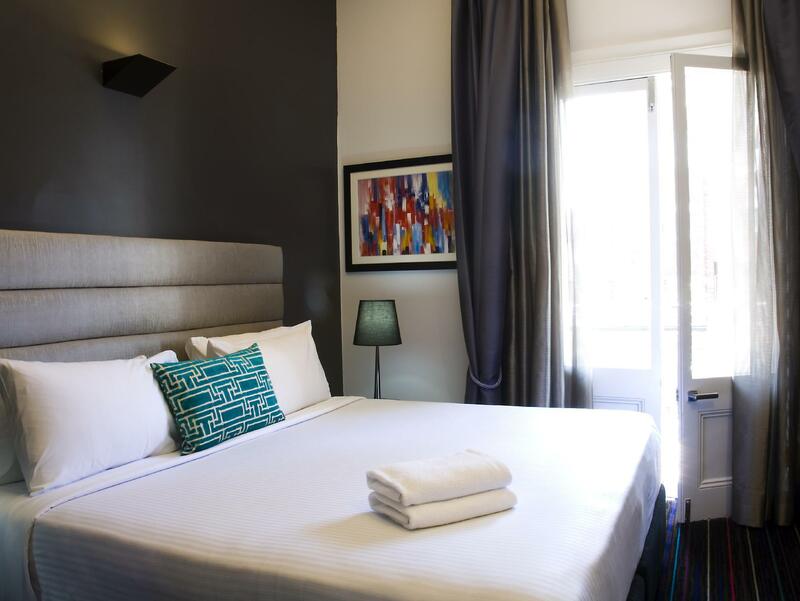 The place is a very well renovated charming traditionnal building in the heart of Potts Point. It's just 5min walk from Kings cross subway station. Perfect for business, couples travellers who seek for typical lodge with charm. Beautiful building in the hip and happening Potts Point . Plenty of cool cafes and restaurants on the doorstep .10 minute walk to Kings Cross Station from where you can reach other Sydney destinations with ease . Accomadation was small double adaquate for what I needed comfortable bed , spotlessly clean .The staff were more than helpful . All in all a hreat stay and would certainly go back again . We stayed here for a couple of days and overall enjoyed the stay. Rooms are small but the location of the hotel is great with restaurants, bars and supermarket close by. 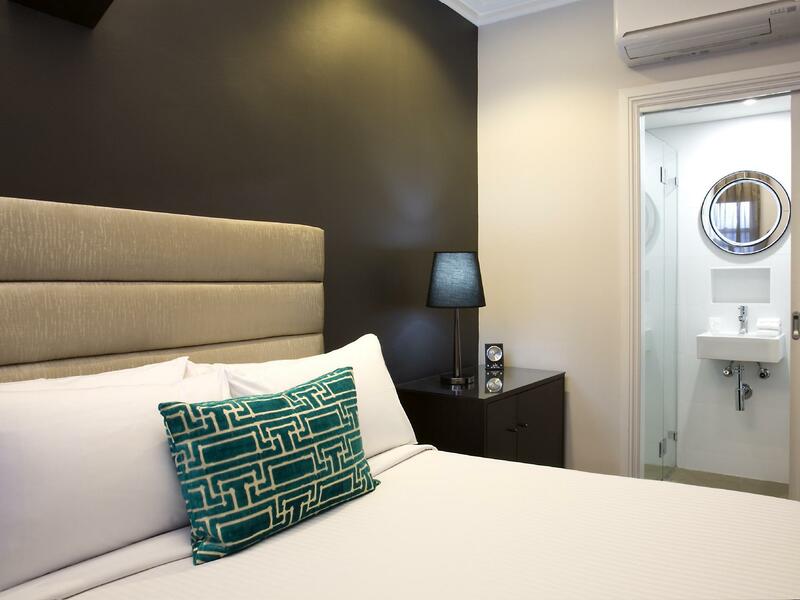 Staff friendliness and helpfulness plus cleanliness of the rooms can be improved. The location is exceptional. 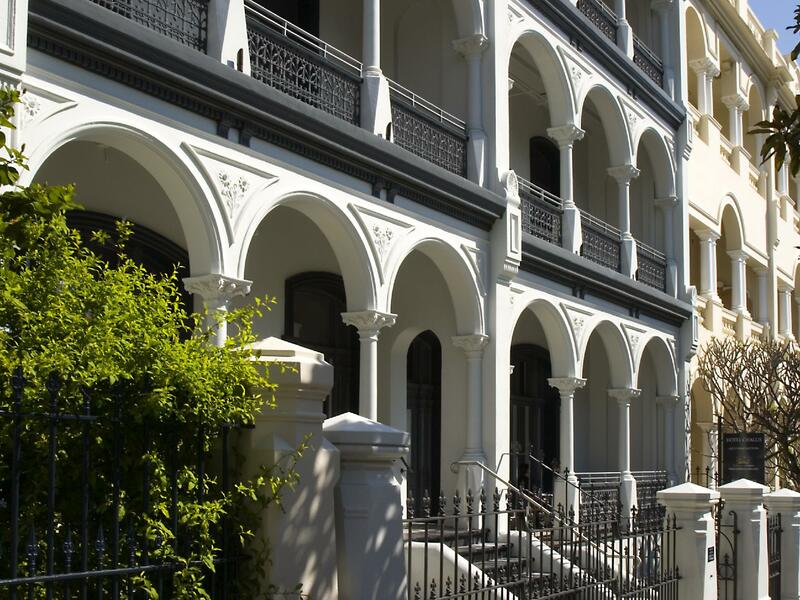 Tucked in one of the quiet streets of Potts Point, the place is charming and not at all touristy. Lots of quaint cafes and bars and yetclose enough to King's Cross if you want a more 'action' packed night out. Receptionists were very good. Shout out to Oksana, Claire and Zack. Very accomodating and went above and beyond to make our stay as comfortable as ever. Our room was small, yes, but very clean. Tip: if you're too tired to go out in the evening. You can just buy a bottle of wine and cheese at the nearest Metro (Woolsworth) and chill yourself at the terrace tables and people watch as the day winds down. Dear Gino, Thank you for taking the time to review your time with us. We are pleased to know that you liked the hotel and what we had to offer. We are looking forward to seeing you back soon! This hotel was in the perfect location for us. It was off the main road so was nice and quiet. Close to shops and restaurants which was a plus. The room was extremely clean and modern decor. It is however extremely small which was fine for my husband and I. You open the door and the bed is literally at the edge of the door. The bathroom is also tiny. 2 people cannot use it at the same time. This did not bother us as we are small people anyway. We were on the ground floor but had to walk into an outside courtyard?? It was nice but it must be a new addition because all through the night we could here water running down the wall against the bedroom. That was slightly annoying. Staff were super friendly. Will definitely stay here again. I was very impressed with this boutique hotel. Friendly, efficient staff, rooms ready early which is always a bonus. The room was very comfortable and clean. Bed was really comfortable. Really enjoyed our stay. Will definitely stay here again when visiting from Melbourne. The hotel was very close to restaurants, pubs and convenience stores but not very close to the train station (takes around 10min walk). Room was very small but clean. Ambiance of the place was really good. A pleasant stay all in all. I was unexpectedly upgraded from a Queen Suite to a King Suite for free at Hotel Challis which was a lovely start to my stay. It was very clean although the bathroom tiled floor could've done with a more thorough clean as there were some stains. The hotel is pretty far away from Kings Cross Station so if you are relying on the train to commute around Sydney perhaps that's something to keep in mind. It's perfectly quiet on the weekends but if you intend on getting some extra sleep during weekday mornings, it won't happen. A school is located right next door. Overall, a very comfortable stay for a short weekend getaway. Booked this hotel at the last minute. Lovely area and easy to find from the airport. Very pleasant welcome. Great room. Quite small but as advertised and expected. Many restaurants in the area. Public transport nearby and very close to a Tour Sydney bus stop. I highly recommend. Room is a bit small and cramped but otherwise comfortable. Staff are very friendly and accommodating. 5 to 10 minute walk from the nearest bus stop and 20 minutes to Kings Cross station. Room is a bit lacking in facilities but bearable. Location is in a good suburb with lots of places to eat in. Loved the exterior and interior. We got the smallest room, but it was more than enough. Bed was comfy, staff was friendly, and the hotel was quaint and cosy. Had a nice feel to it. Enjoyed our stay, thanks hotel challis! Location about 10 mins walk from Kings Cross station. Staff they are nice and helpful. Rooms clean and facilities good. I like the shower head as this can move by yourself. Style classic and european style. Surrounding street have restaurants and supermarkets, very convenience!